Can’t Buy Happiness is the first material since the Australian multi-instrumentalist’s latest LP, ‘Flow State’, arrived in August 2018, and comes ahead of their UK, Ireland, European and US tour dates this spring and summer. The song starts off delicately with just a thoughtful guitar melody and sweeping, almost whispered vocals. Completely self-written and produced, Sultana proves excellent dynamic range as the chorus grows into a huge reverberated sequence with an incredibly pliant head voice. “Here’s a little piece quite unlike the others. See I used to write music like this all the time, but I feel like it wasn’t the right moment to release it. My head’s in a different place and my ears are as well. I guess this is what happens when you’re feeling good within”. After recently selling out her Australian tour, Sultana will call in at London’s Alexandra Palace on June 28, Glasgow on June 30, Cork on July 3 and Dublin on July 4, as well as various European and US dates supporting ‘Flow State’. 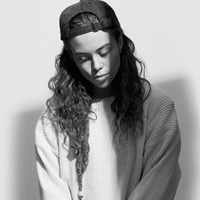 Click here to compare & buy Tash Sultana Tickets at Stereoboard.com. Tash Sultana has announced shows in Cork and Dublin. Photo: Dara Munnis Tash Sultana has announced a date at London’s Alexandra Palace. Tash Sultana has released a new song, Harvest Love.